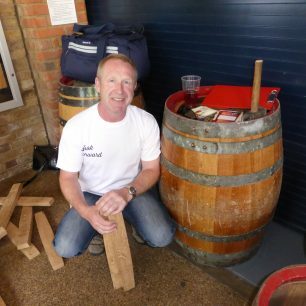 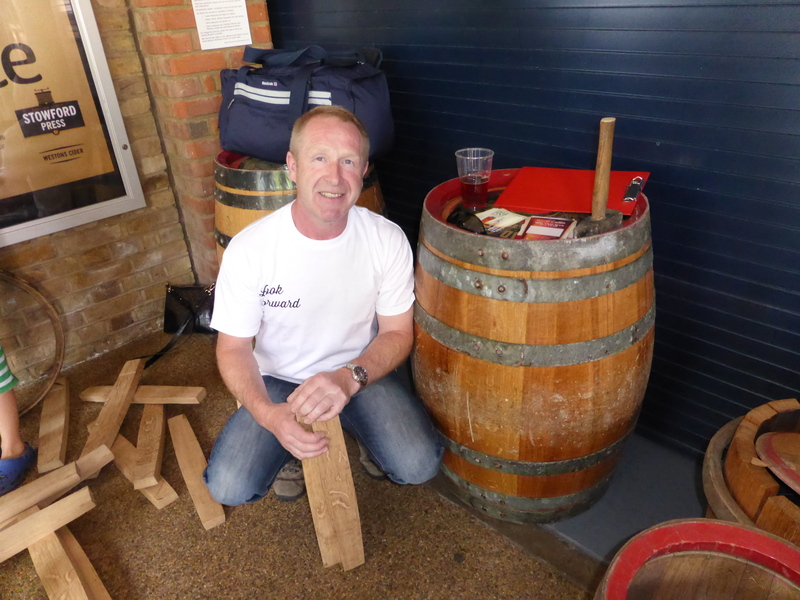 Mark Newton, Marstons cooper, teaching people how to make a barrel - for a free pint! 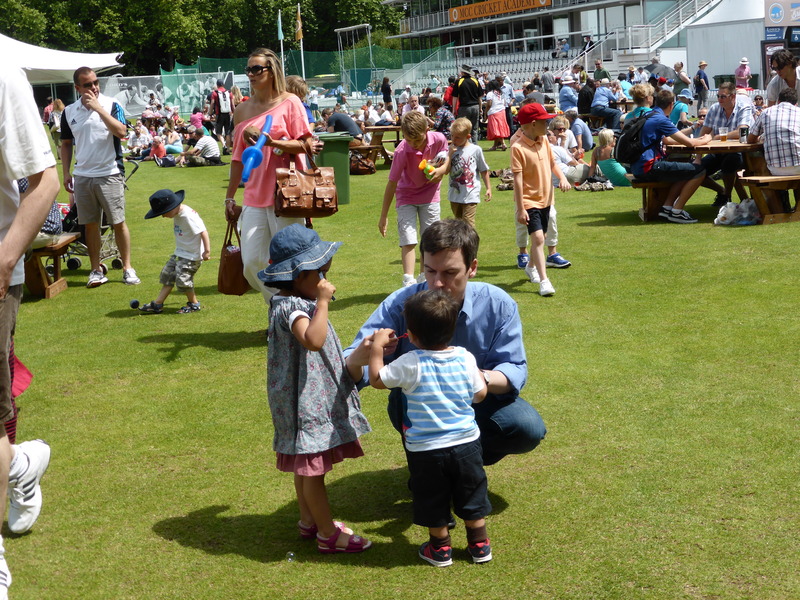 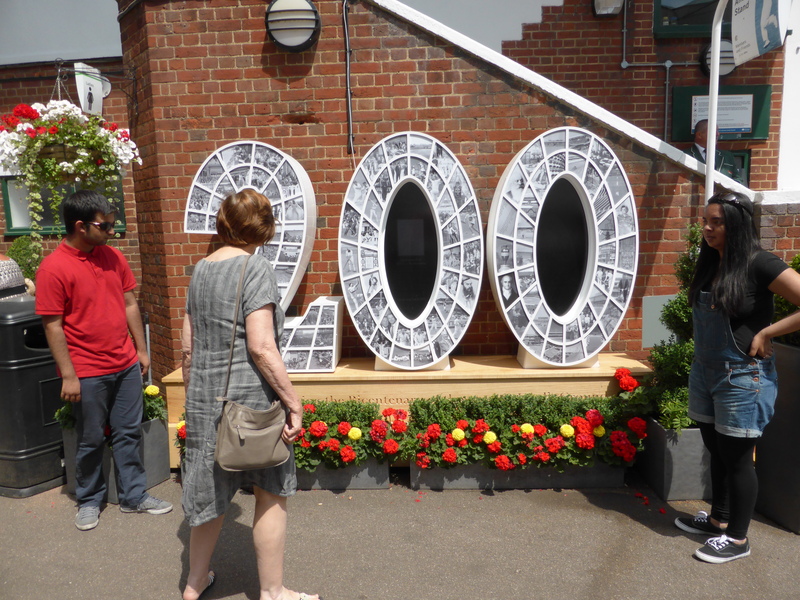 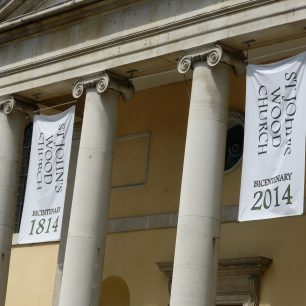 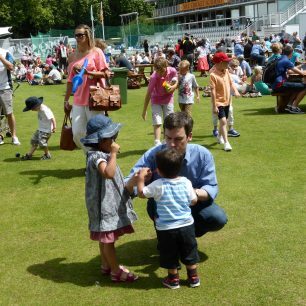 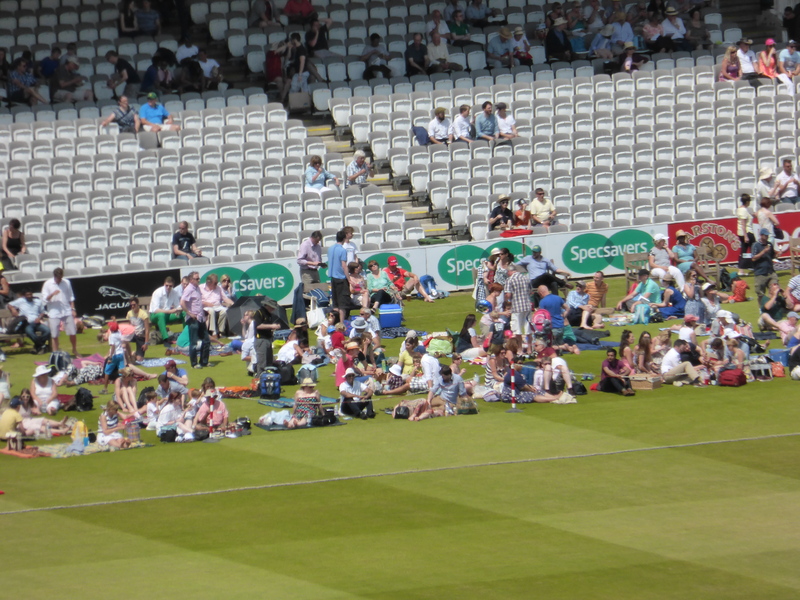 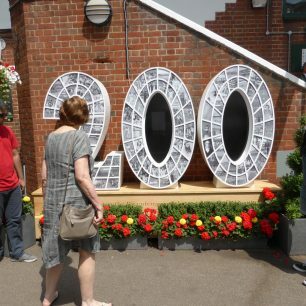 This year 2014 sees the bicentenary of both St John’s Wood Church and Lord’s Cricket ground. 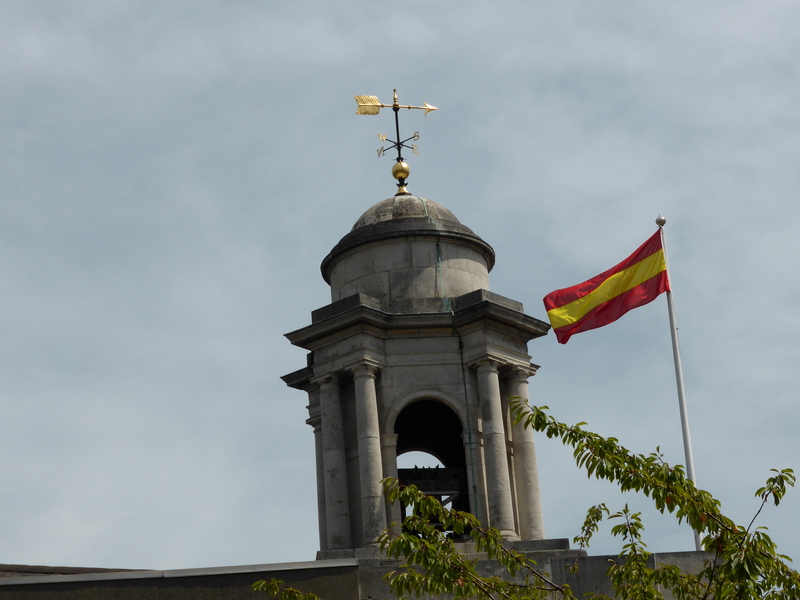 The church was built as a chapel for St Marylebone to begin with, before becoming a parish church at a later date. 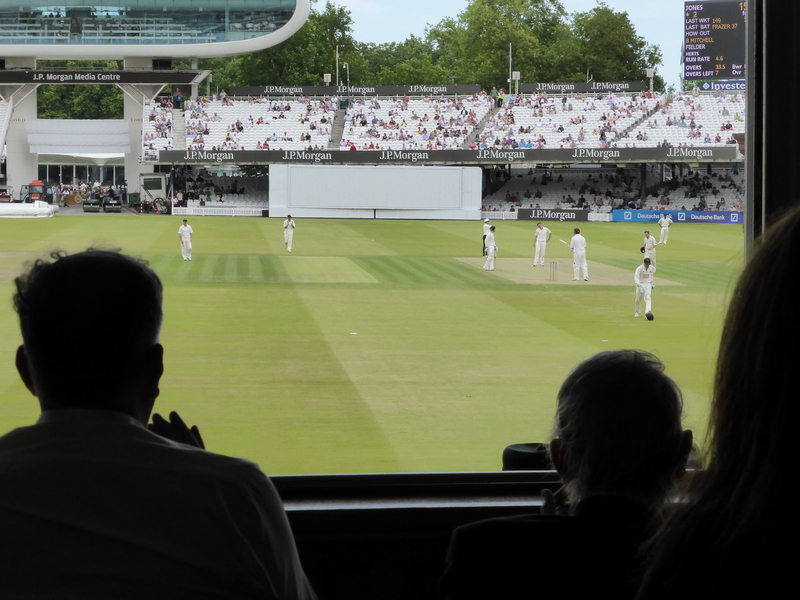 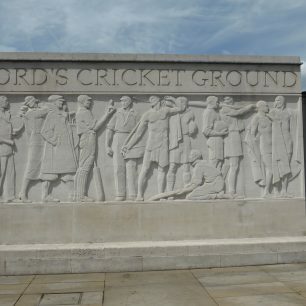 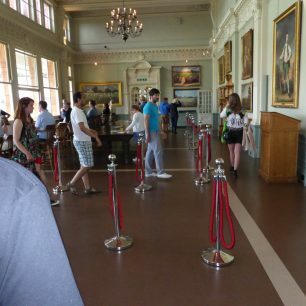 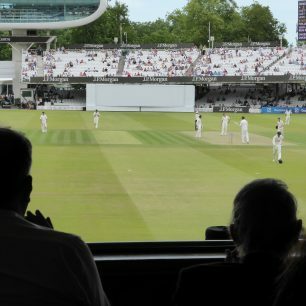 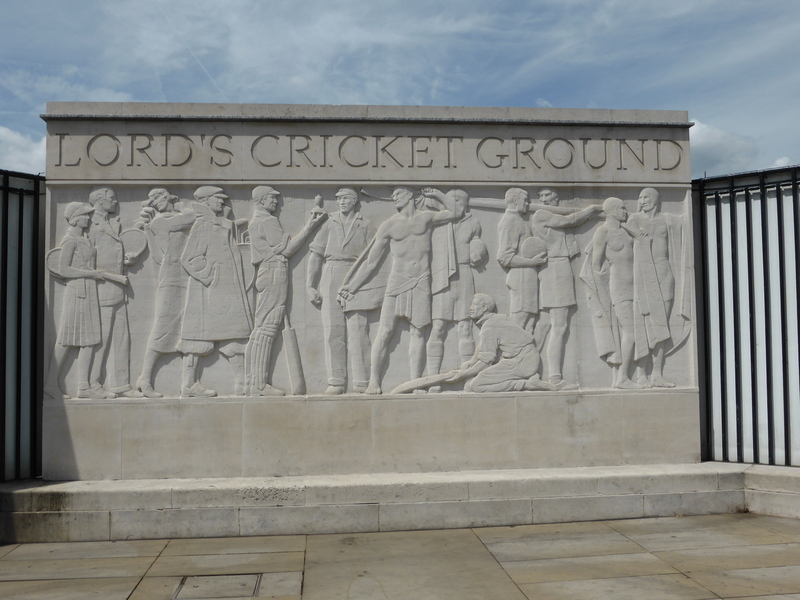 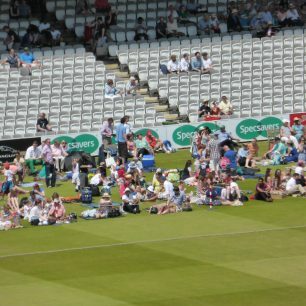 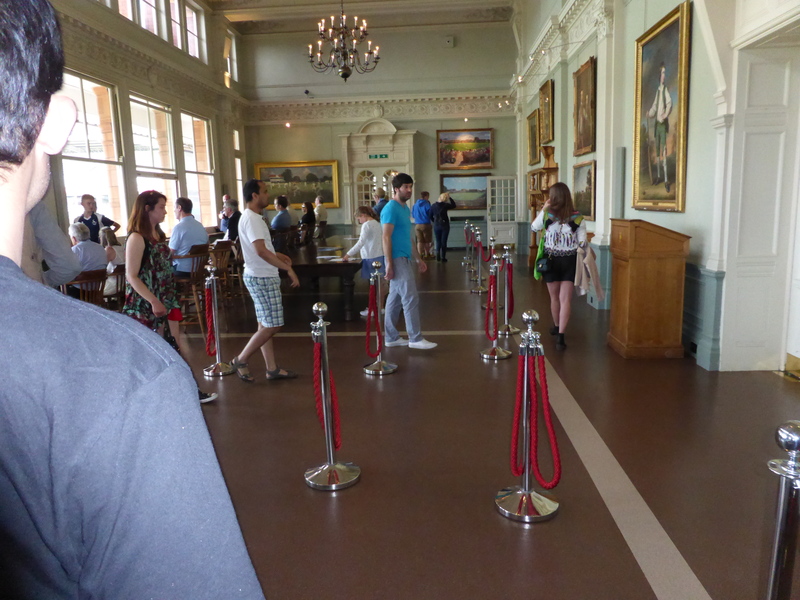 Lord’s was the third and final ground that Thomas Lord had used for his cricket pitch. 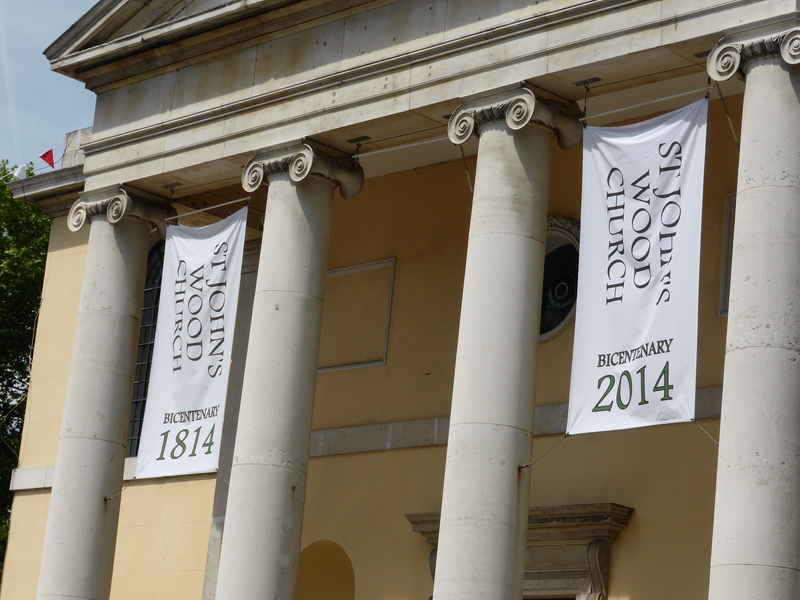 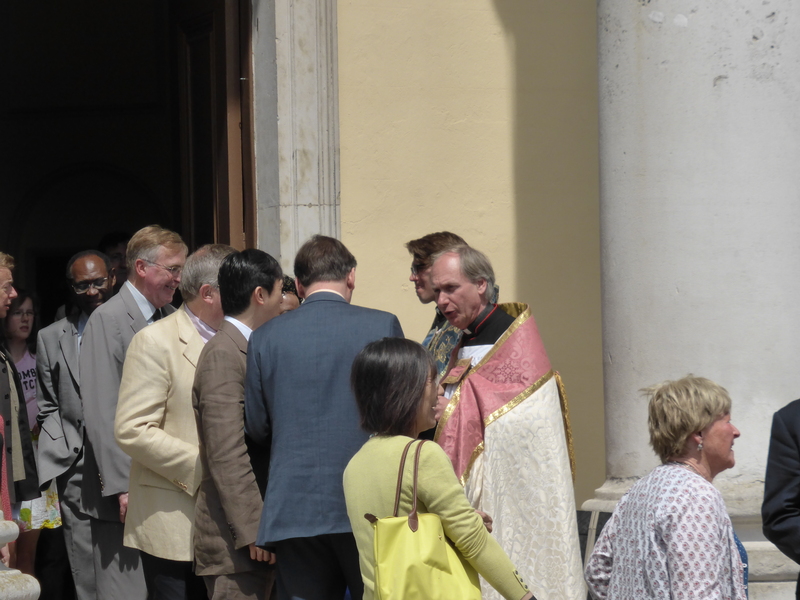 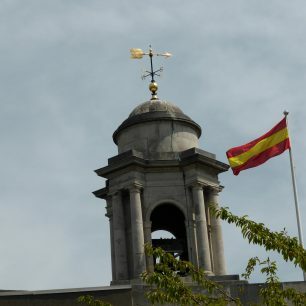 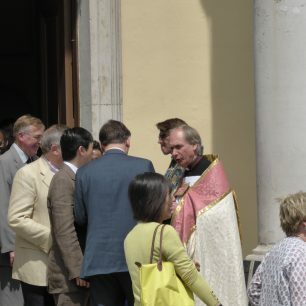 The two institutions celebrated their openings together two hundred years ago, and on 22 June they celebrated again. 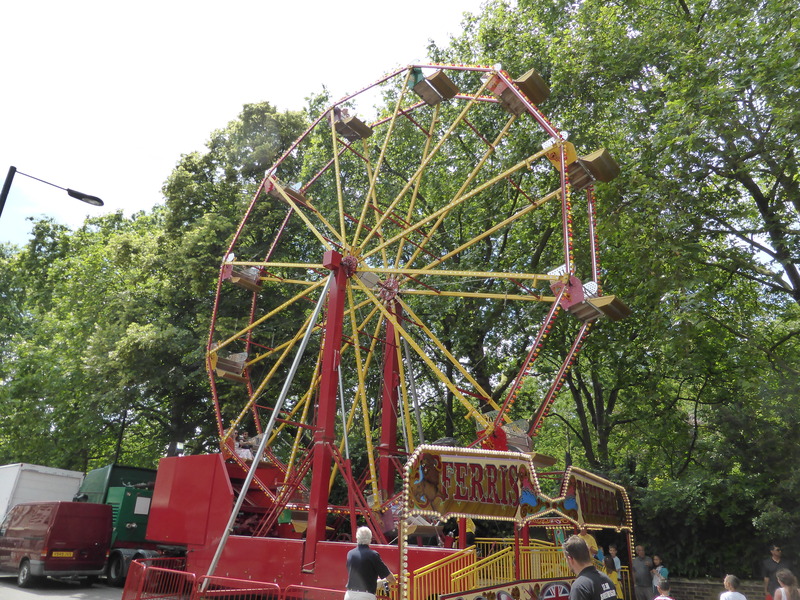 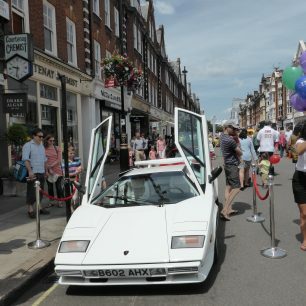 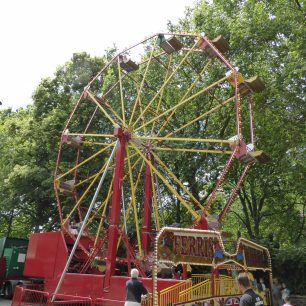 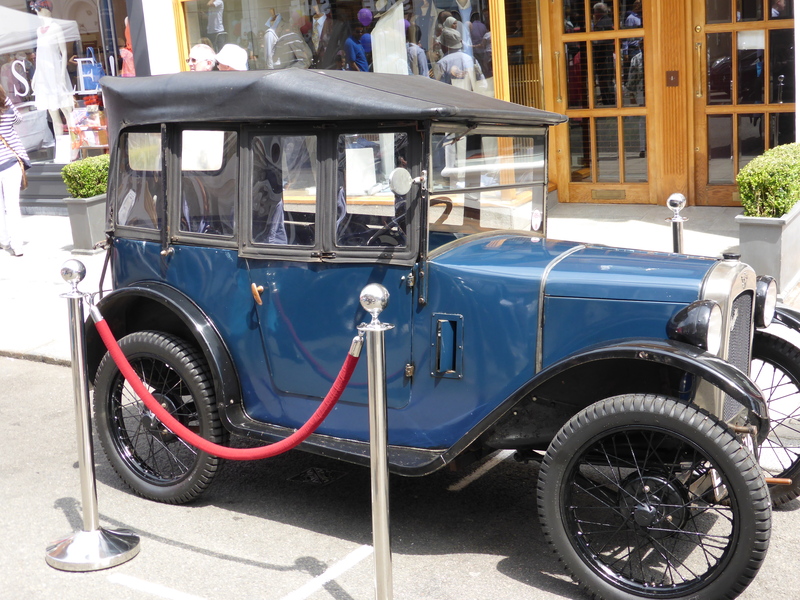 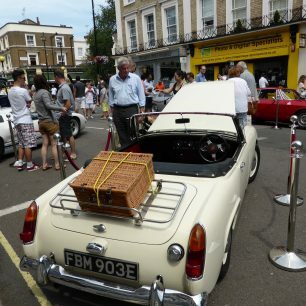 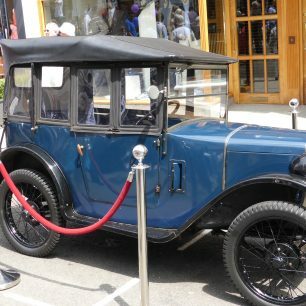 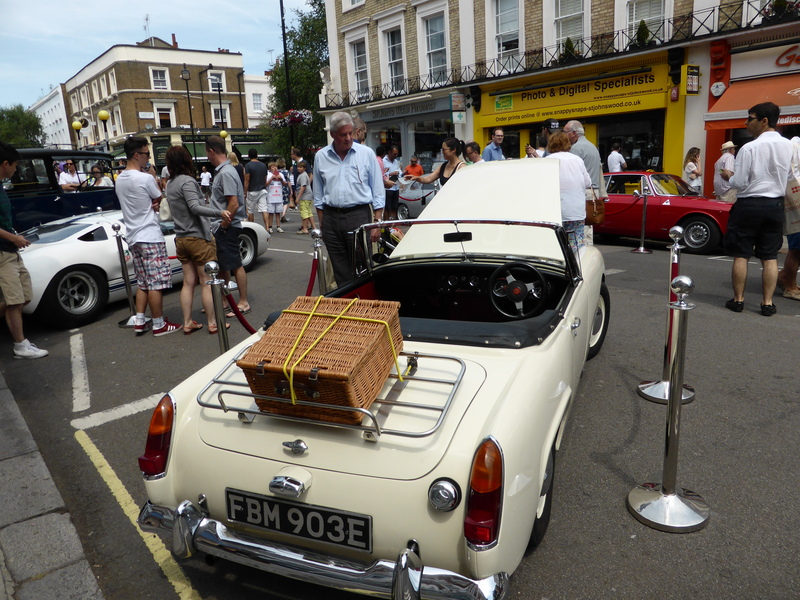 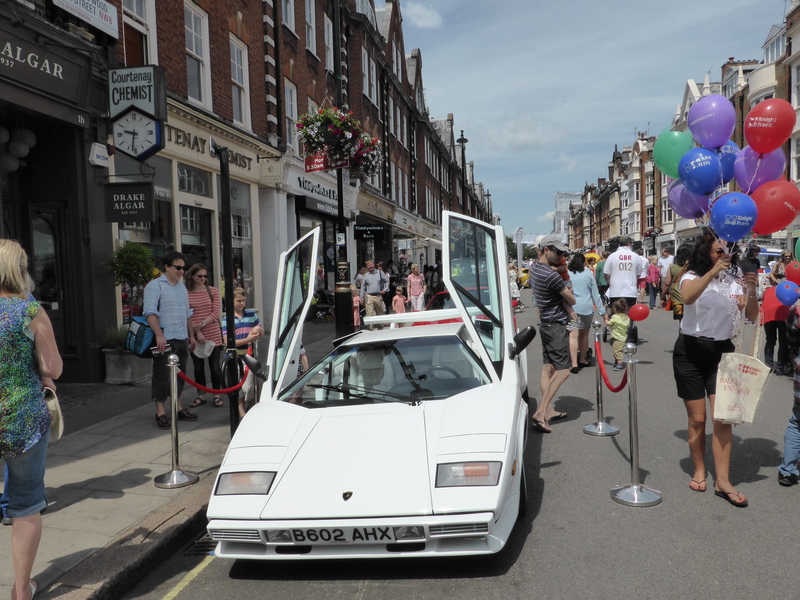 On the same day the High Street was closed and a classic car pageant and children’s funfair was staged. 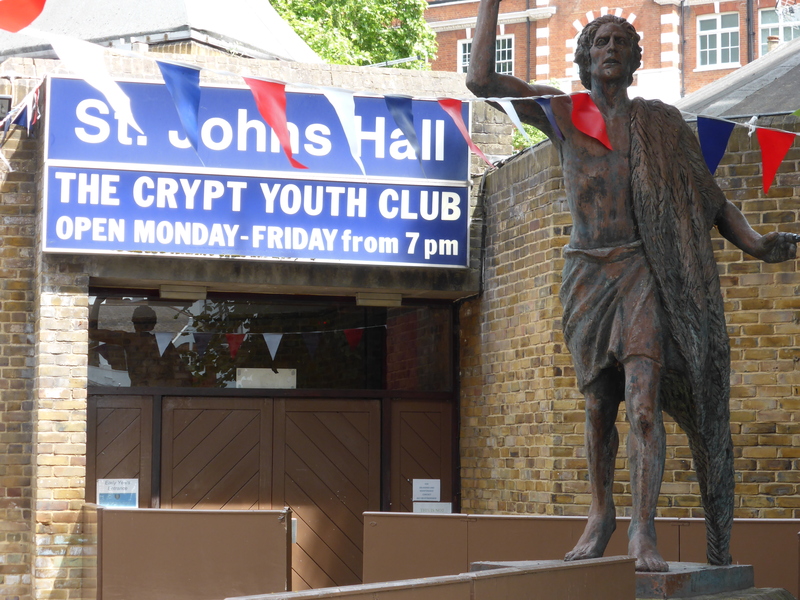 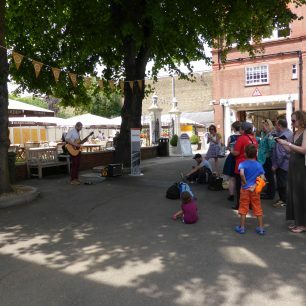 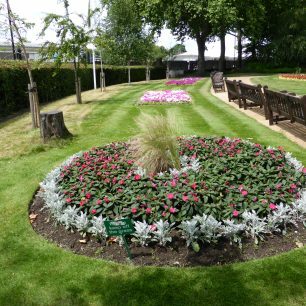 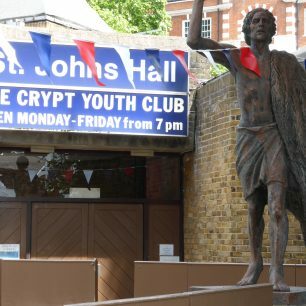 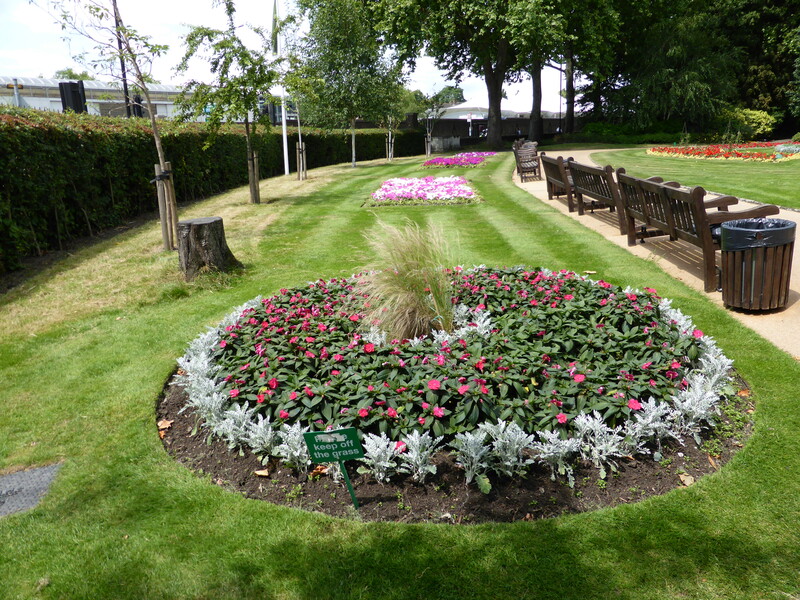 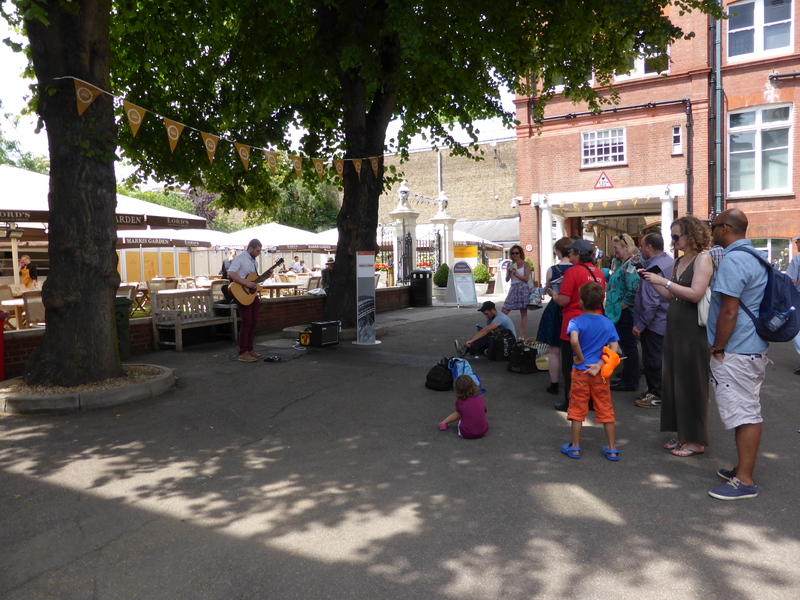 And the St John’s Wood Society held its summer party at the almshouses. 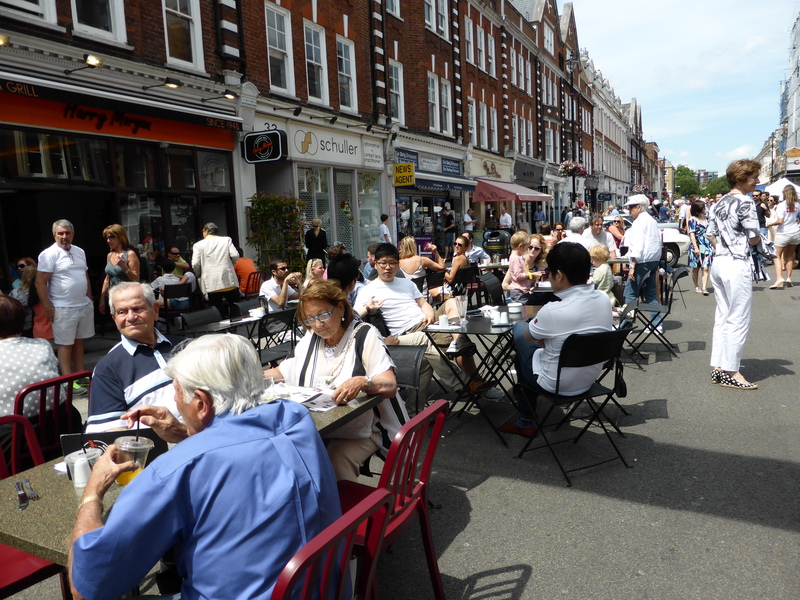 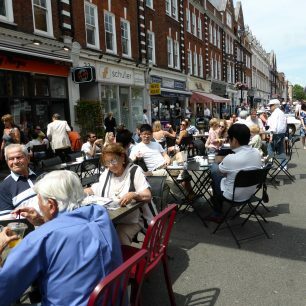 Altogether a wonderful day for St John’s Wood!